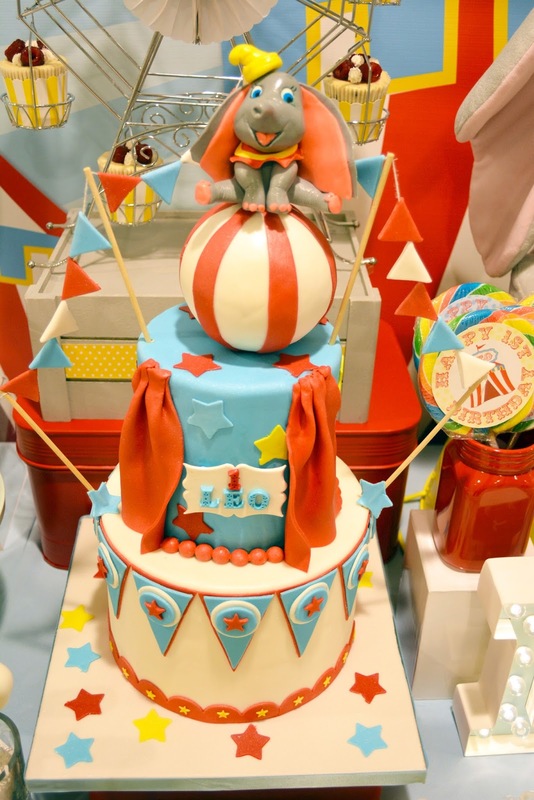 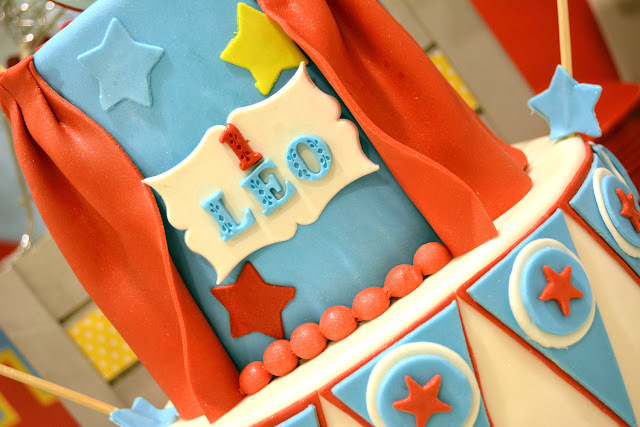 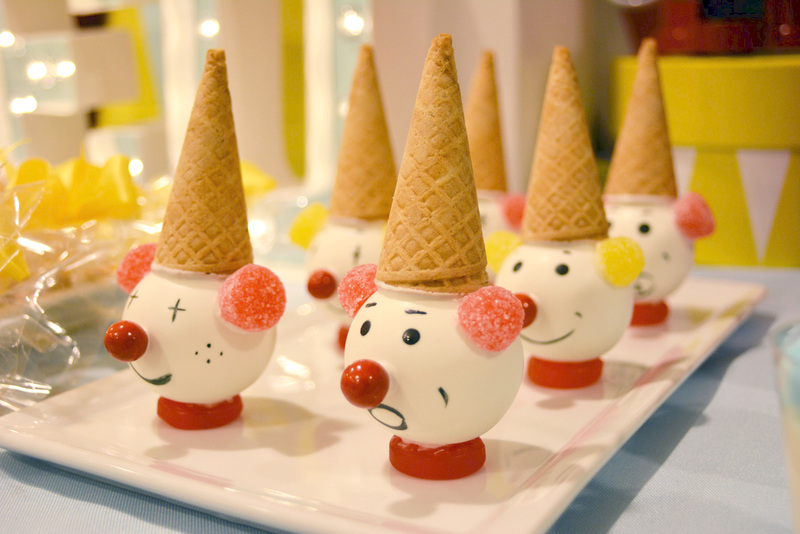 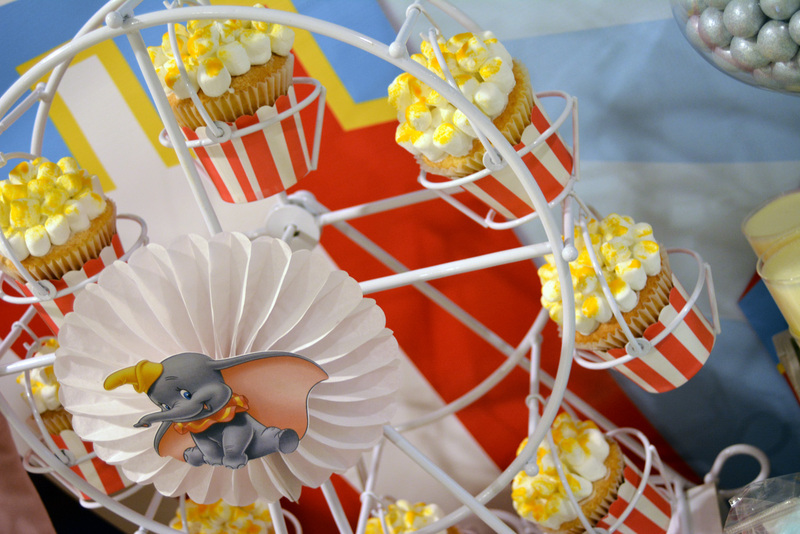 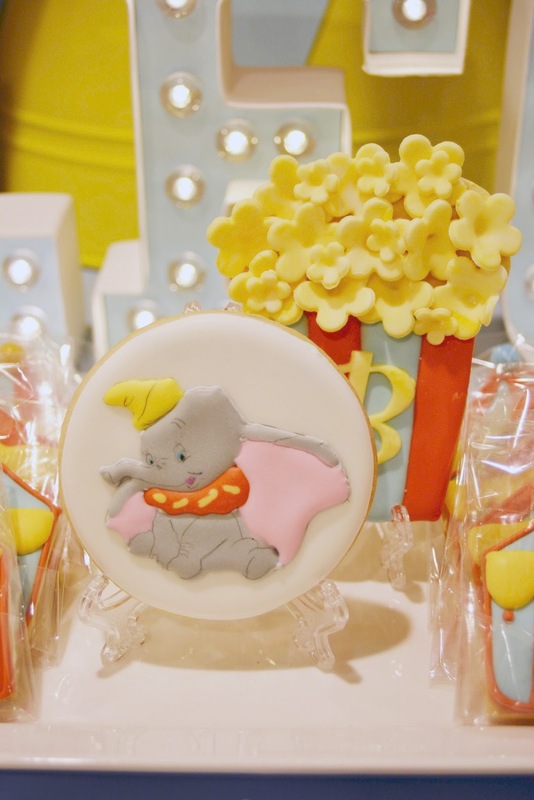 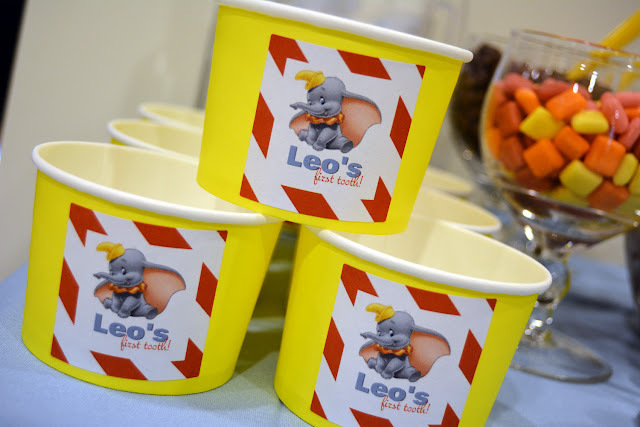 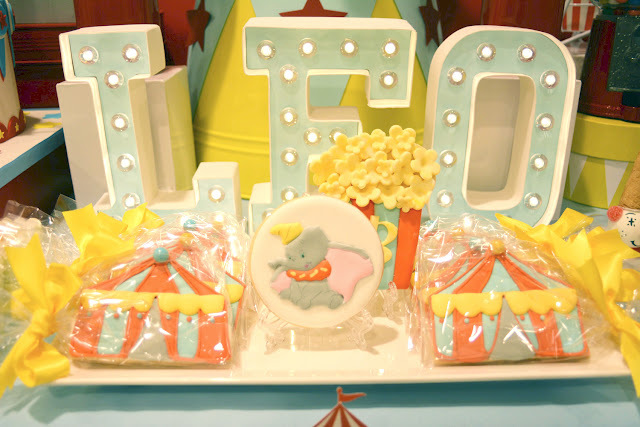 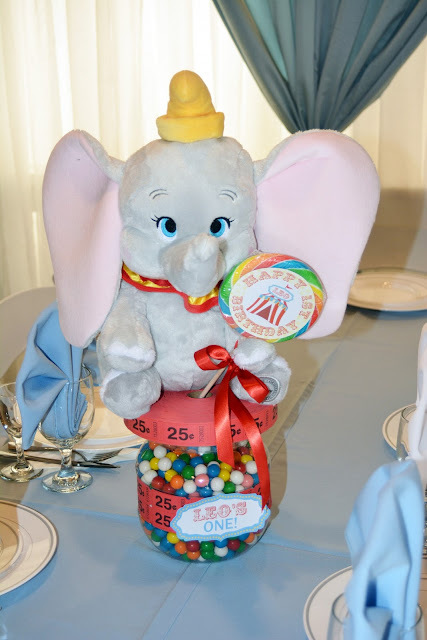 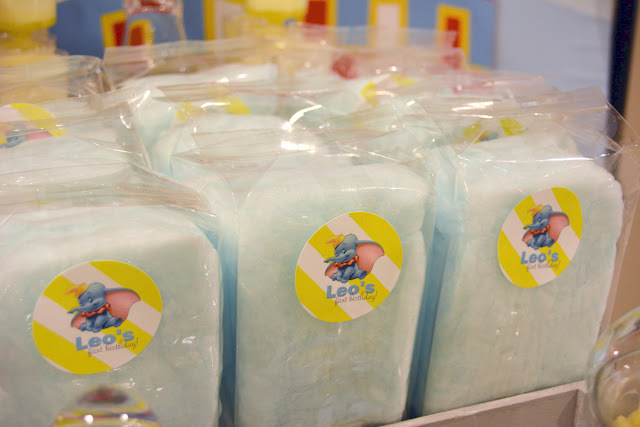 A Dumbo circus, first birthday party for cute, little Leo! 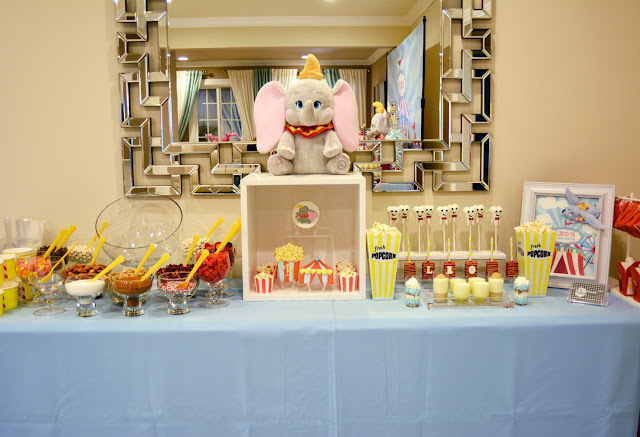 We designed this dessert table with bright red and yellow hues in combination with the soft baby blue and light gray to reflect a circus celebration. 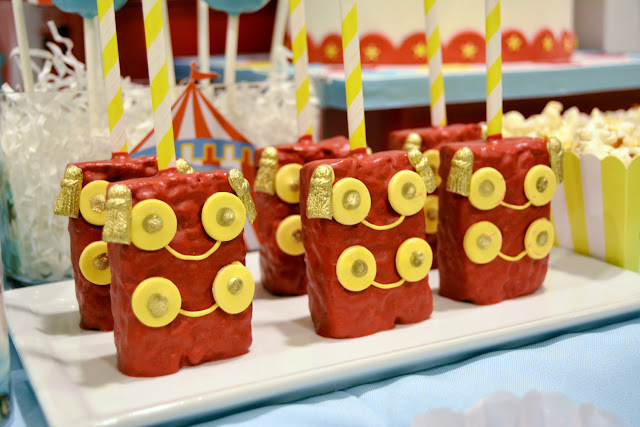 All things circus came to mind in the design and execution process. 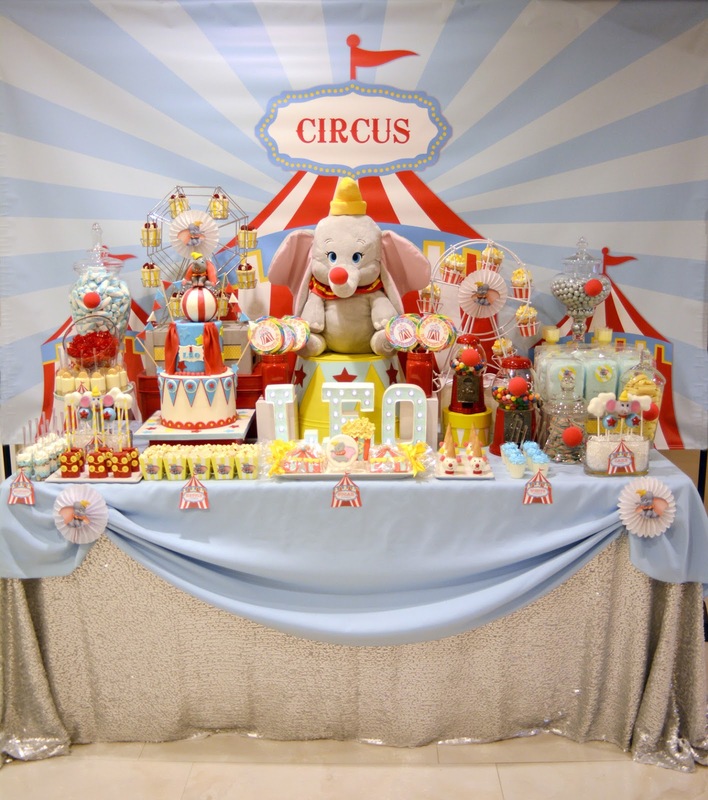 Marquee lights, clown cake pops, popcorn cupcakes, ringleader rice krispies, to ferris wheels, clowns popcorn and loads of candy of course. 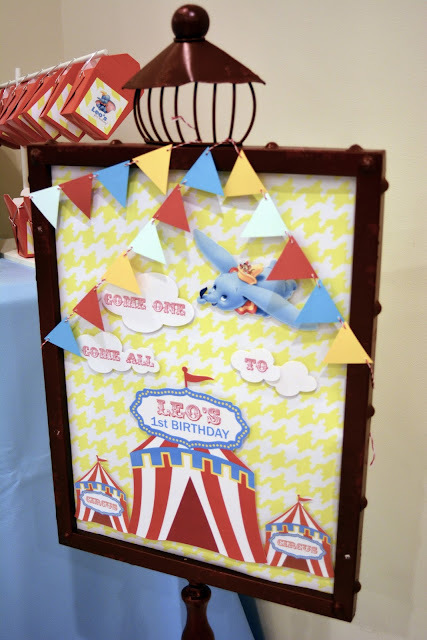 We got it all covered! 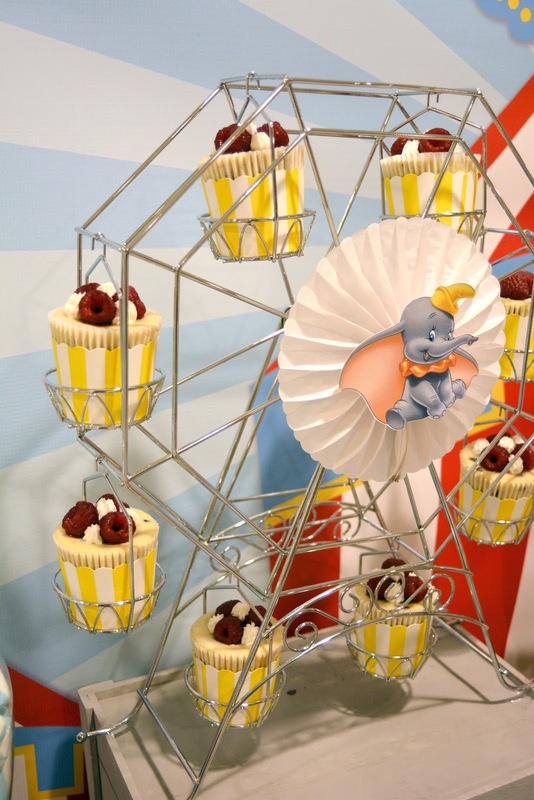 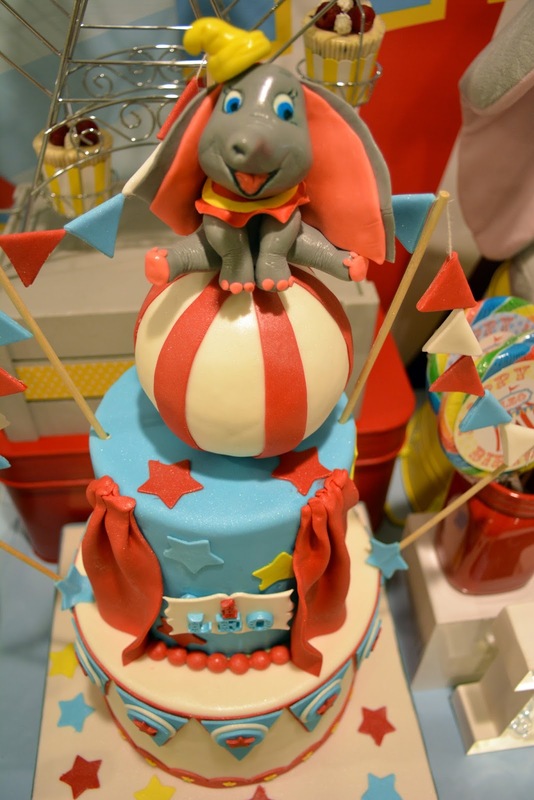 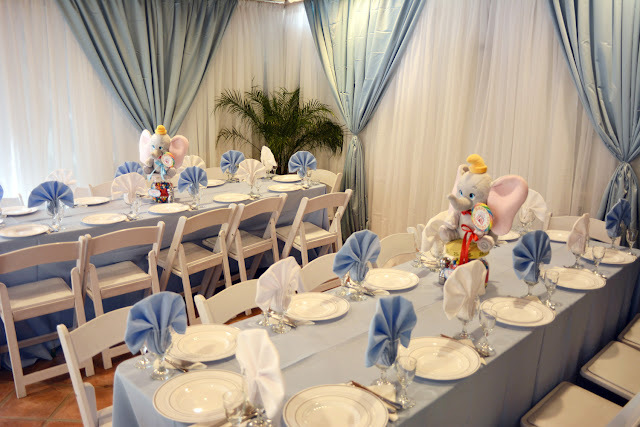 Designed a custom made backdrop with Dumbo as the focal point (instead of the cake), gave it a more dramatic look. By adding a matte, sequin, gray tablecloth, it balanced the eye from all the bright colors of the candy and desserts. 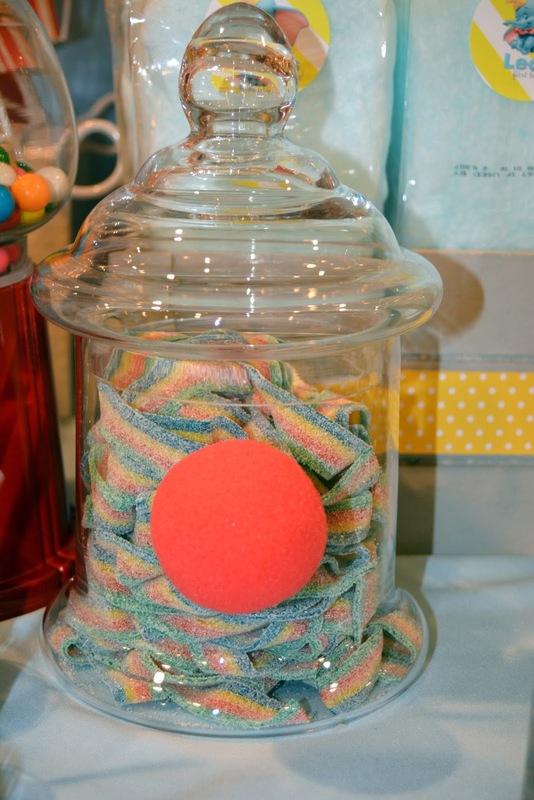 DIY centerpieces, super easy and super cute! 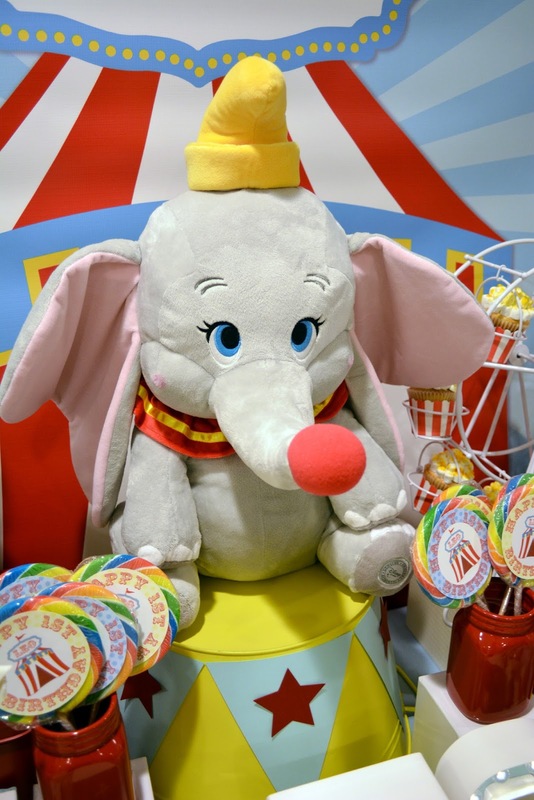 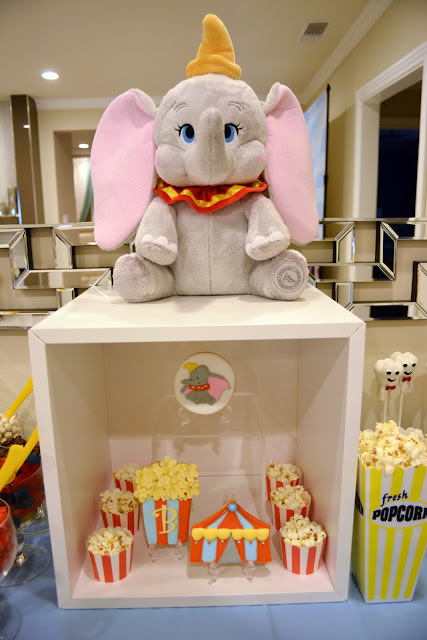 Plush Dumbo, a bucket of gumballs, a ticket roll, and a lollipop.....voila! 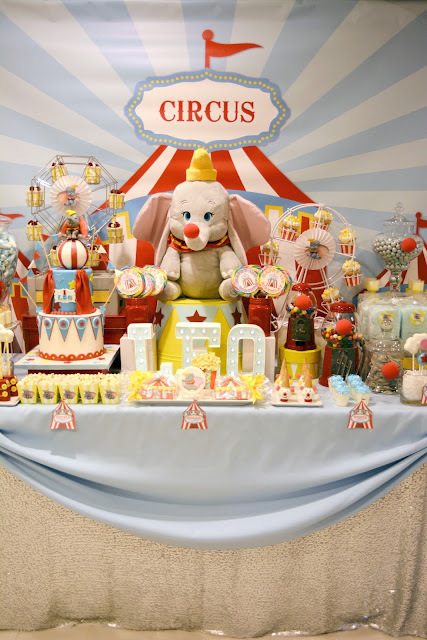 When a baby cuts it's first tooth, it's an Armenian tradition to eat grain called "hatik." 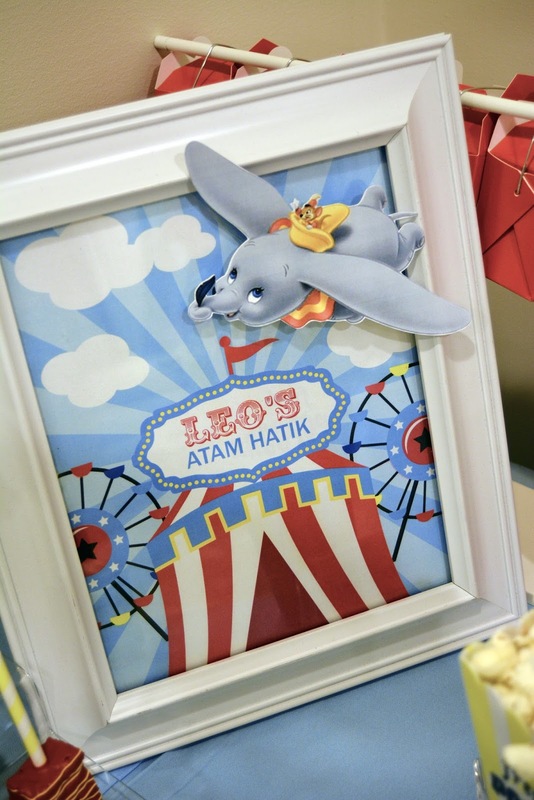 The celebration entails the drizzling of a hand full of "hatik" on top of the baby's head to bless a smooth and painless cutting of all teeth. 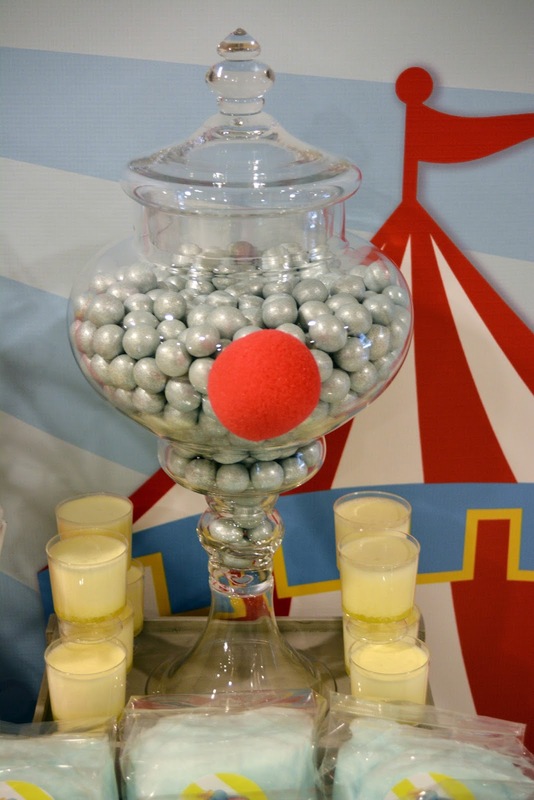 After the ceremonial tradition, you help yourself to a bowl of "hatik", dressing it up with all the sweet condiments you prefer. 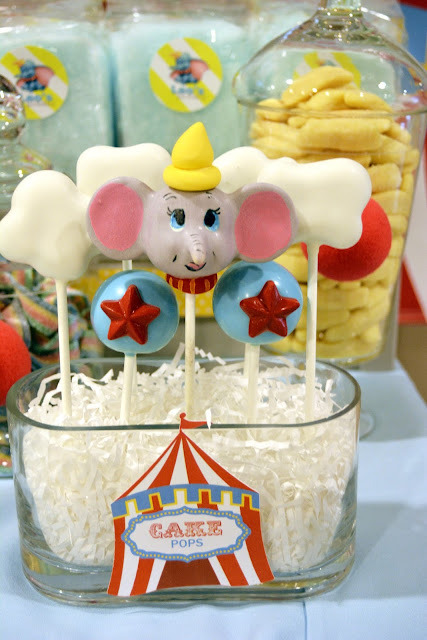 Hope you enjoyed our fun day at the Circus with Dumbo.